Luckily, I have a secret weapon, a wood stain pen. 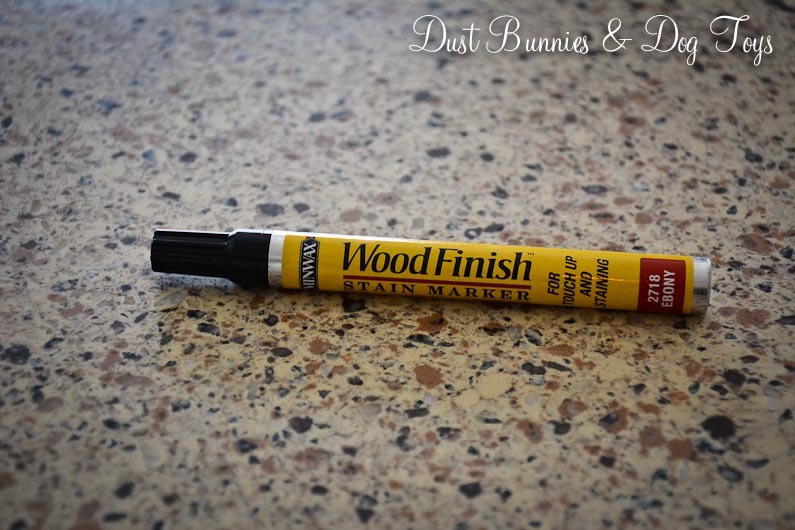 Although I purchased this to disguise any little dings on our kitchen cabinets, it works just as well on the floors and furniture. 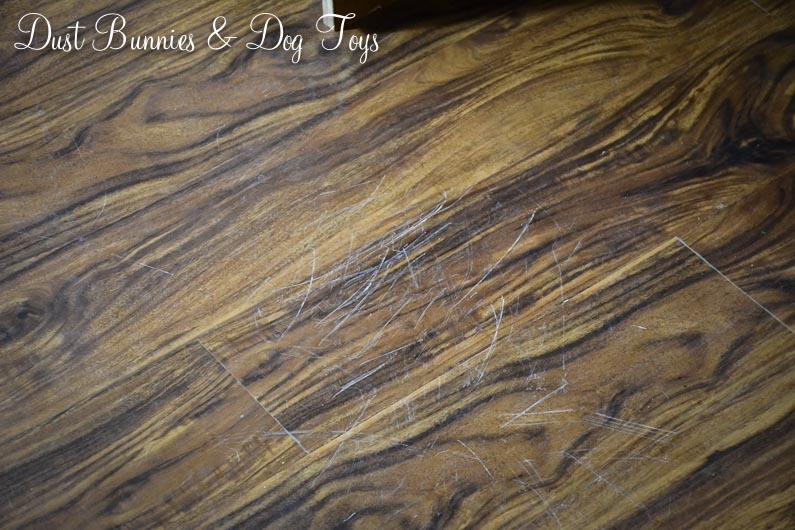 In the office, I cleaned the floor so there wouldn’t be any dirt or dust in the scratches and then lightly ran a fingernail over each scratch to take off any small rough pieces of the vinyl left behind. Next I just colored on the floor. Literally, I just squiggled across each area and then drew a line over any scratches that extended outside the main group. I let that sit for a few minutes then wiped off the excess with a rag. Here’s the end result. If you look really closely, you still might spot a few of the scratches, but if you were to walk past this area you’d never notice anything that would make you stop and look. 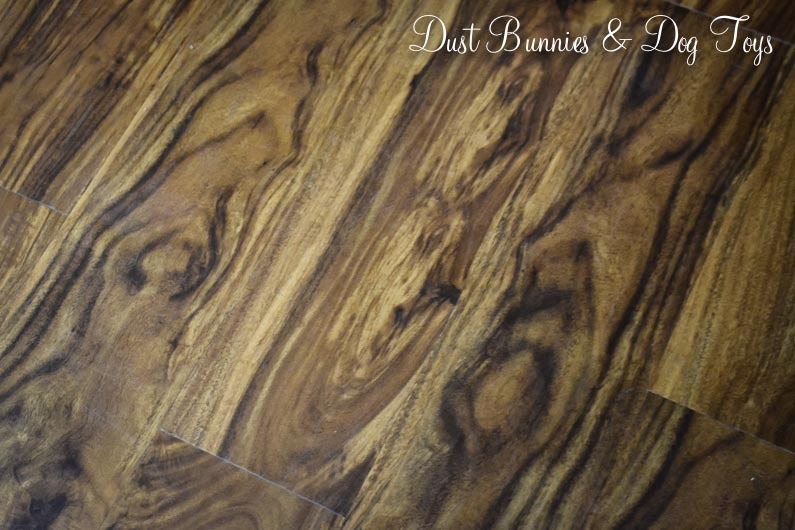 That was the exact reason we chose this flooring material. It’s tough, so it’s scratch resistant and even when we do manage to scratch it, I can correct the problem quickly and easily!